Eyebrows speak louder than words, for maintaining your eyebrows you need an expert, properly trained and skilled individual. Gorgeously groomed eyebrows can transform your face, play up your eyes, and stretch your confidence. StyleU Salon has well-trained professionals who can provide you the best look for your facial features and style in town. We provide 100% natural and chemical free process, just by using cotton thread and correct skills. 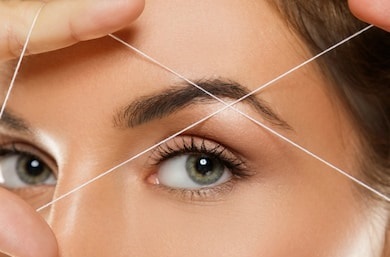 Threading is an ancient hair removal technique discovered in Asia. StyleU Salon one of the best beauty salons provides a unique and graceful service for ensuring the right shape and thickness of your eyebrows. We believe in giving you a look through which your eyebrows introduce you before you speak. Sanitation is the decisive part we take care of, before any kind of service we sanitize the skin and then shape your eye brows in the best manner for enhancing your looks. Threading services consume minimal time but need maximum skill to be curved beautifully. So, get fully dressed with your flawless eye brows from the best beauty salon near you and adore the attention this weekend. 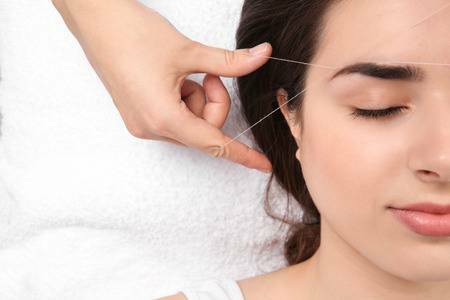 • Eye Brow Threading: In eye brow threading, our threading specialist uses a doubled up cotton or polyester thread to quickly tweeze the facial hair and remove hair from the root. • Eye Brow Waxing: In eye brow, our waxing specialists use a resin or a wax to clutch the facial hair and pull them out entirely, from the root. Make your life beautiful by meeting the right Eye Brow artist. Trust a specialist from StyleU Salon who can shape your eyebrows in a striking manner. Visit soon to meet the great stylist and impeccable customer service in town, and get exclusive offers and complimentary services.